"When producing a body of work it is important for me to remain in the present to be spontaneous, intuitive and true to myself. Manifesting a bridge between the conscious and the unconscious. The process is like decoding a puzzle, a reflection of mind, a personal language, a lapse in time...I empty my being of all things this and that, black and white, past or futuristic. I allow myself space, with no stipulation on time, giving myself freedom to create and express. Creativity is growth and expansion, its requirements are love and nurturing. It is central to all things matter and non-matter. In our every nerve ending, is our conscious beginning. Life made meaningful, grace, consistancy and perseverance." -- Michelle Agius. I was Born in 1971 in Sydney Australia. I presently work from my home studio on the mid east coast of Queensland Australia. Although I was mostly self-taught as a fine artist, I graduated in design and graphic arts with awards and honours. My artwork has been exhibited extensively along the eastern coast of Australia for the past 20 years, and more recently in the US and Europe. My first solo exhibition, In The Raw Light, Waywood Gallery Byron Bay was well recieved. It lead to representation by Agora Gallery New York Chelsea, and entrance to the Digital Fine Art exhibition Pixel Perfect May - June 2005. From this I was reviewed by publications, Australian photography magazine Not Only Black + White and architectural magazine Indesign. In 2005 I was also published in the University of Queensland's UQ Vanguard Prelude, art bible, featuring my digital photomedia works. I investigate themes of sensuality, spirituality, the creation of the human condition and the cyclical nature of life and death. My work has been described as evocative and delicately sensual, personal yet universal. I explore the way we perceive our physical bodies, mind and spirit. By acknowledging all the aspects of self as sacred, I invite the viewer to find resonance through their own experience, and encourage others to be more loving and nurturing to our being. In 2007 I received invitation to the 6th International Biennale of Contemporary Art in the famous Fortezza de Basso Florence Italy. From this I was again selected to be part of the exhibition Mostra Europa 08’ at the gallery Centro Storico Florence where I was awarded a Diploma of Honour for my contribution to Art and Culture; the same award also given to three Surrealist artists, one of those being Salvador Dali. More recently I was contracted as a freelance illustrator, working as a Background artist on a new 26 part series titled 'Prisoner Zero' for animation house Planet 55 Studios. Prisoner Zero is a fast-paced, animated sci-fi, action-adventure series. The programme is aimed at children aged 8 -12, the series follows their heroes as they journey across the cosmos in the spaceship Rogue to battle the evil Imperium. The ABC series was aired April 2016. 2006-07 Workshops with well-known Australian artist Elizabeth Cummings. 2005 Workshop with Australian artists Camilla Connolly & Michael Taylor. 2003 Narrative photography workshop ‘Transit Lounge’ Creative Photography Centre Byron Bay NSW Australia. 1995 Design fundamentals Institute of Tafe Kingscliff NSW Australia. 1990 Graphic Design / Illustration the Commercial Art Training Centre Burleigh Heads QLD Australia. 2004 Nudes lamps and gloves Blank_space gallery Surry Hills NSW Australia. 2004 In the raw light Waywood Gallery Arts & Industries estate Byron Bay NSW Australia. 2013 Explore Yourself with DOKAN BOM art group European School, Tsukuba Japan. 2013 Love is a Careless Sea with Daevid Allen & Michelle Agius Dark Moon art space Burleigh Heads, Gold Coast Australia. 2012 Dark Moon art space Launch Burleigh Heads, Gold Coast Australia. 2012 Viva Le Femme 20 women artists Lust for Life Fortitude Valley, Brisbane Australia. 2010 Erotica Exhibition 44 Artspace Fingal Head, NSW Australia. 2008 Monstra Europe 08 Centro Storico, Florence Italy. 2007 6th Florence Biennale Fortezza de Basso, Florence Italy. 2007 Digital fine art 44 Artspace Fingal Head, NSW Australia. 2007 Charity art auction Whole woman's festival Kingscliff, NSW Australia. 2006 4th International art festival OMMA Centre of Contemporary Art, Chania Greece. 2006 OMMA Contemporary art centre Santa Barbara, California United States. 2005 Lemming Underground launch City of the arts space Murwillumbah, NSW Australia. 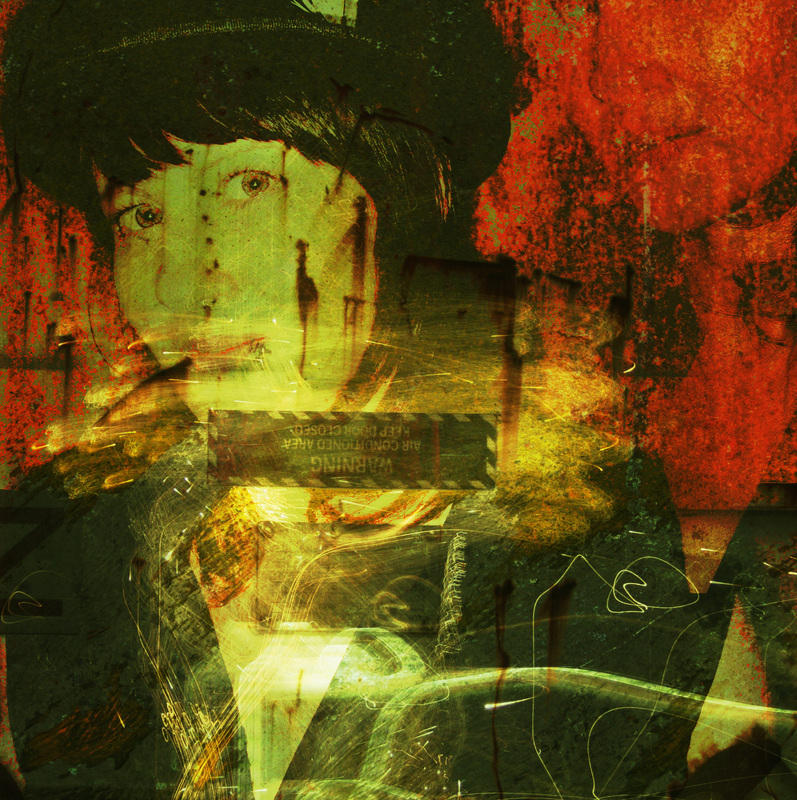 2005 Digital fine art exhibition Pixel Perfect Agora Gallery Chelsea, New York United States. 2005 Charity art auction Whole women's festival Kingscliff, NSW Australia. 2005 Linden Postcard Prize St. Kilda, Melbourne Australia. 2004 Community Colleges Art Prize City of the Arts Space Murwillumbah, NSW Australia. 2004 Nudes 5 Local Artists the Beach Pad Kingscliff New South Wales Australia. 2004 Chinese-Australian Science-Art Exhibition City of the Arts Space Murwillumbah NSW Australia. 2004 The Tub Art Gallery Arts & Industries estate Byron Bay NSW Australia. 2004 The Border Art Prize Tweed regional gallery NSW Australia. 2003 Invitation Phainting 35 painters + 35 photographers Creative Photography Centre Byron Bay NSW Australia. 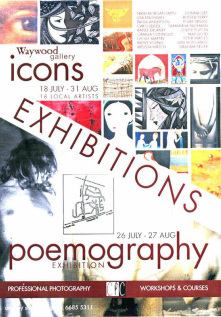 2003 Invitation Poemography 40 Photographers & 40 poets Creative Photography Centre Byron Bay NSW Australia. 2002 The Tub art gallery Arts & Industries estate Byron Bay NSW Australia. 1997 Gallery Agent 029 Paddington Brisbane Queensland Australia. 1994 5 Women Artists Realms of possibilities Mullimbimby gallery NSW Australia. 2008 Diploma of Honour, Contribution to Art & Culture from the Association Galleria Centro Storico, Florence Italy. 2004 2nd Place Community Colleges Art Prize Judge John Dalsen, City of the Arts Space, Murwillumbah NSW Australia. 2004 2nd Place Visions of Nature Photography Prize Brunswick Nature Festival, Mullimbimby NSW Australia. 1995 The Graphic Design Mascot Award Australian National Hospitality Finals, Kingscliff NSW Australia. 1995 Eckersleys Award of Excellence Design Fundamentals Kingscliff Institute of Tafe, Kingscliff NSW Australia. Gold Coast, Sydney, Melbourne, Brisbane, Byron Bay. Tokyo, California, New York, London, Dublin, Auckland & China.